I am ready to ENJOY the HERE and NOW, are you?? This one could not come at a better time! During the school year, especially in the spring, my life gets out of control, and what do you think takes the back burner? Unfortunately, my girlfriends. It is the nature of my life, unless I see you at school or extracurricular activities chances are good that I won't see you...sad, but true. This week that all comes to an end. Owen graduated from preschool, no more running back and forth twice a day, no more prepping for their graduation. Olivia had her last dance class and this weekend is recital, this means no more evenings sitting at the dance studio. Owen has his last tee ball game next week, and we have only two girl scout fun events left for this year. I looked at my schedule for next week and I don't have to leave the house in the evening, unless I want to...ALL WEEK! I have a great old friend who moved back to Maine from Florida in November and although I have seen her, I have yet to have some one on one time with her. I am scheduling a dinner date for ASAP so that we can catch up without the kiddos around and chat without interruption! Another one of my best friends is going to be moving out of state in the middle of July and before that happens, I need to spend some time with her! I need to plan a one on one dinner date as well as a group dinner date for a bunch of our friends! I hope to spend tons of time with all of my friends this summer at the beach. The kids and I, and all the moms enjoy the beach so much and I can't wait to relax and chat while the kids have a blast! 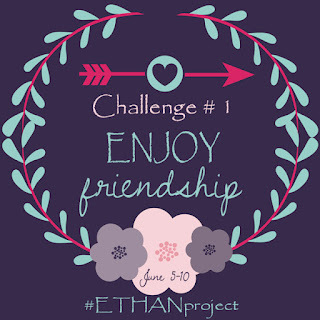 This is how I am completing the challenge with all my old friends, but I also want to tell you all a story about making new friends. This year at Owen's preschool, I met Mariah. At drop off and pick up we would say hello and throw around some small talk. She seemed super nice and then one day I saw her at dance and we were both happy to see a familiar face to talk to, to pass the time. Then one morning Mariah asked me out on our first "date" as we like to joke! She asked me to get a coffee and we spent an hour and half talking and talking and talking and finding out that we have pretty much everything in common. Our kids and our husbands get along great and it is just the easiest friendship. We both say that we feel like we have known each other forever. Although our friendship has been short, it is one I don't doubt will last a lifetime. 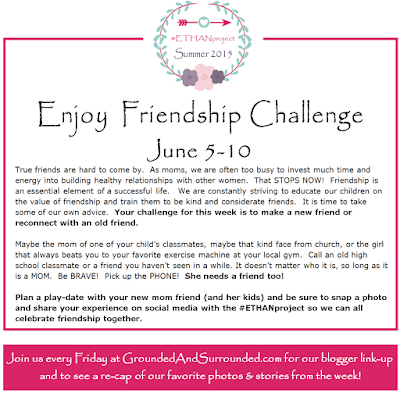 I urge you to step outside the box on this challenge and ask another woman or another mom on your first "date" and see what happens. It may not be an instant connection, but it just might be, you don't want to miss out! Great girlfriends are hard to come by, I am so lucky to have a bunch of really great ones and I am so looking forward to spending time with them this summer! I am making my goal from today through June 10th, to get all of my dates on the calendar. 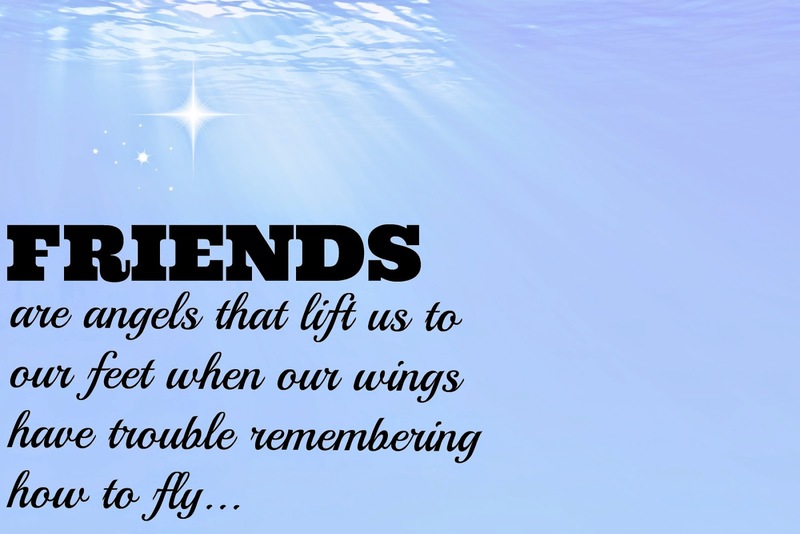 What are you going to do this week to make your friendships a priority?? 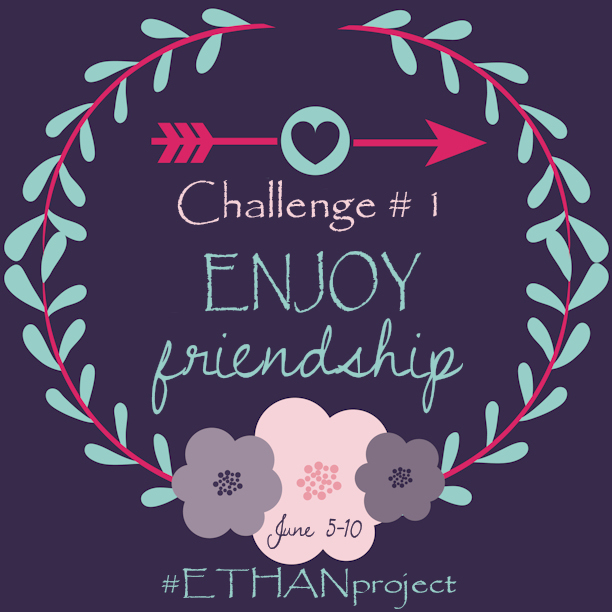 Don't forget to post your friend photos on Instagram with #ETHANproject and tag me and/or join the Facebook group for lots of good ideas! I will be posting my pictures over the next few days, can't wait to see yours! 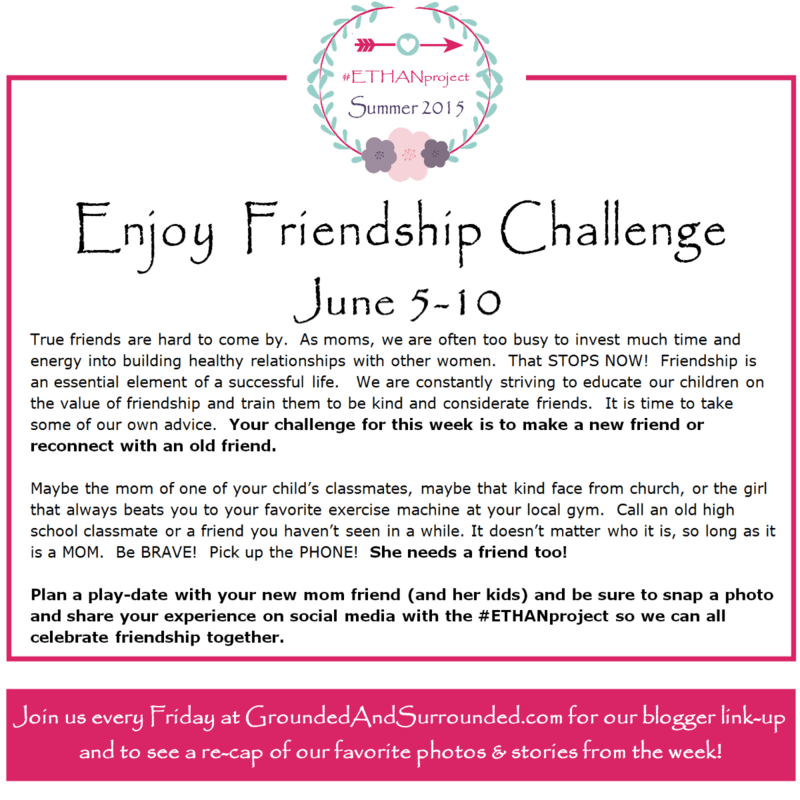 go on over to see what other people are doing with their challenge! What a great kick off to your summer! I love your friend quote! Great plan!!! I am working on catching up with old friends too!! I need to do this! Just so hard when Im the only friend in my old group of friends with kids. Hard to make plans with anyone, everyone seems so busy! Definitely need to make better plans with friends! We were like that too, being the first to have kids and it was really hard, but then once Olivia started school we started to meet friends that have kids our kids ages and we have lots of people to hang out with now! Now our old friends are having kids and it all comes full circle!! Good luck!